With Presley's primal voice, gritty guitar riffs and bludgeoning drums, the Troggs were part of the British Invasion wave of bands that included the Beatles, the Rolling Stones, the Kinks and the Who. On songs like their 1966 single "Wild Thing," the band helped to define garage rock in the Sixties and inspired the architects of what would evolve into punk rock in the Seventies, including Iggy Pop, the Buzzcocks and the Ramones. "Wild Thing," written by Chip Taylor, was a Number One hit for the Troggs in the U.S. The follow-up single, "With a Girl Like You," topped the charts in four countries, including the U.K.; while their 1967 single "Love Is All Around," later covered by R.E.M., reached the Top 10 in the U.S., U.K. and Canada. All three songs have sold more than one million copies. 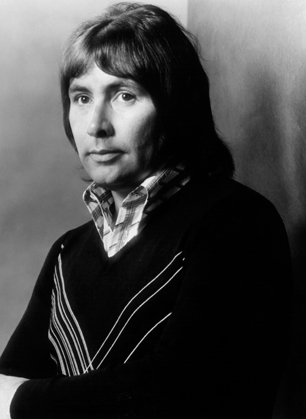 Born Reg Ball, the singer was working as a bricklayer when he helped found the Troggs in Andover in 1964, adopting the name "Presley" at the suggestion of the band's manager. The band released just 11 studio albums over the years, but the Troggs frequently toured, and Presley fronted various incarnations of the group until last year, when he retired after receiving the cancer diagnosis.